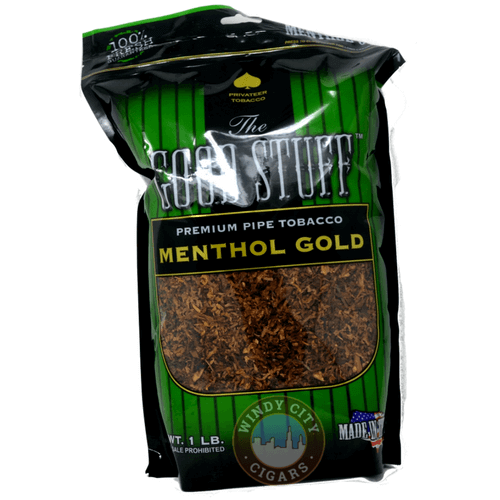 The Good Stuff Pipe Tobacco and cigarette tobacco is a North Caroline tobacco manufacturer and one of the market leaders (check out the reviews on our site) providing high quality pipe and cigarette tobacco for the consumer market. 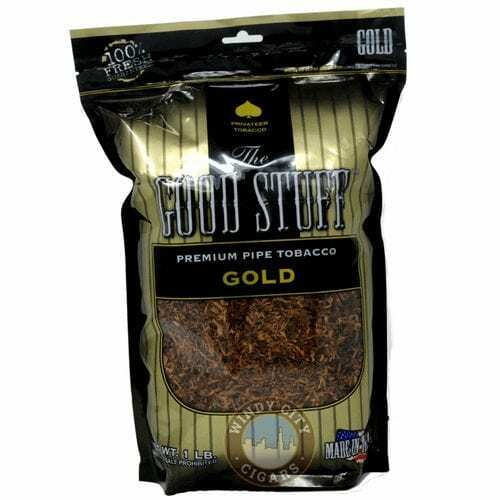 The Good Stuff tobacco is a broad mix of tobacco products with distinct flavors made from good quality tobacco and high quality flavoring elements. Each 16 oz (1lb) bag of The Good Stuff pipe tobacco goodness is re-sealable, ensuring your tobacco won’t dry out and stays fresh throughout. 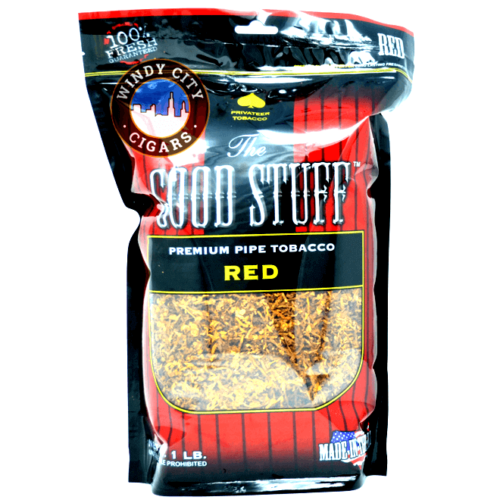 Good Stuff – Red: a classic full bodied pipe tobacco; nothing subtle in this blend whatsoever. Good Stuff – Gold: somewhat of a milder flavor than their other blends. 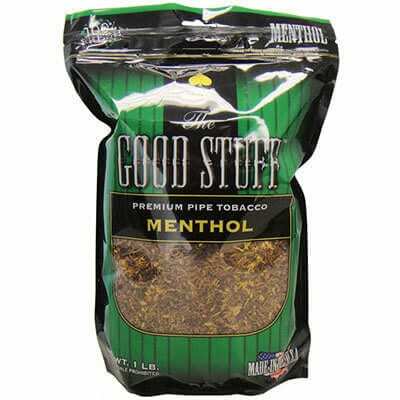 Good Stuff – Menthol: just a slight hint of menthol, nothing over the top like some cheaper pipe tobacco blends. 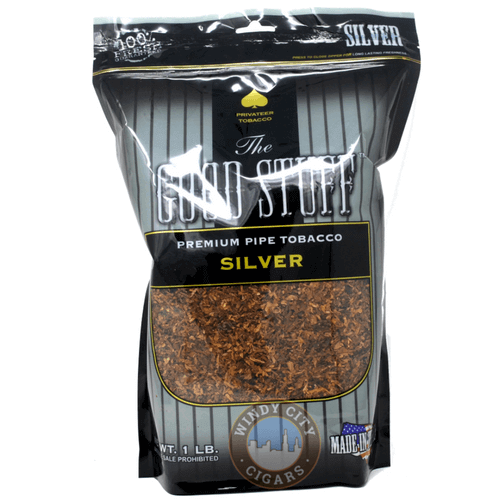 Good Stuff – Silver: a smooth, elegant taste on par with much more expensive pipe tobacco brands. 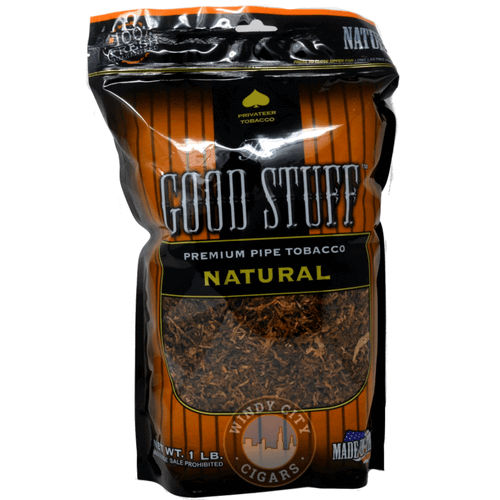 The Good Stuff Natural Pipe Tobacco: more of a traditional tasting pipe tobacco but a step down in flavor from their Red.